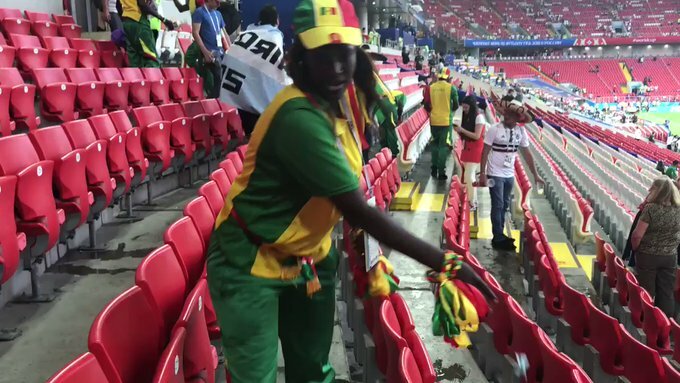 The Terranga Lions of Senegal became the first African team to win a match at the current FIFA World Cup in Russia on Tuesday after they emerged victorious in a 2-1 defeat by Poland. In an attempt to celebrate their victory in style, the Senegalese fans showed their civil side by clearing the stadium happily 40 minutes after their match against Poland in their first match of the 2018 World Cup Russia. 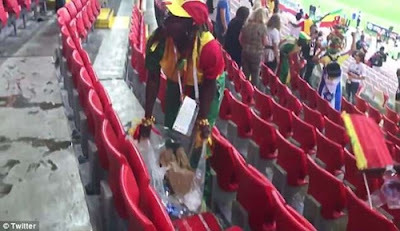 Fans were spotted packing drinks and food wrappers and putting them in trash bags in an attempt to keep the stadium clean. They were later praised online for their cleansing and their ability to be humble and helpful despite their victory. 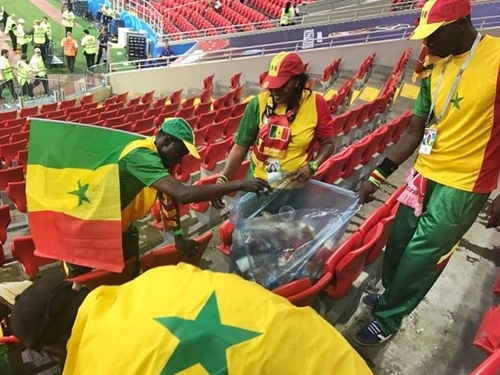 Led by Alou Cisse, captain of the Senegalese team that surprised France 1-0 on its way to the quarterfinals of the Korea / Japan 2002 World Cup, Senegal scored in both half to record an impressive victory. 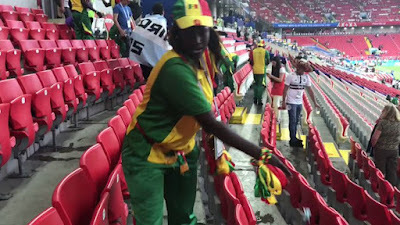 However, Senegal, in its second appearance in the World Cup since its impressive debut in 2002, achieved an impressive victory over the astonished Europeans, and will seek to take control of Group H when they face Japan, who previously recorded a surprise 2 -1 Colombia wins, on June 24.